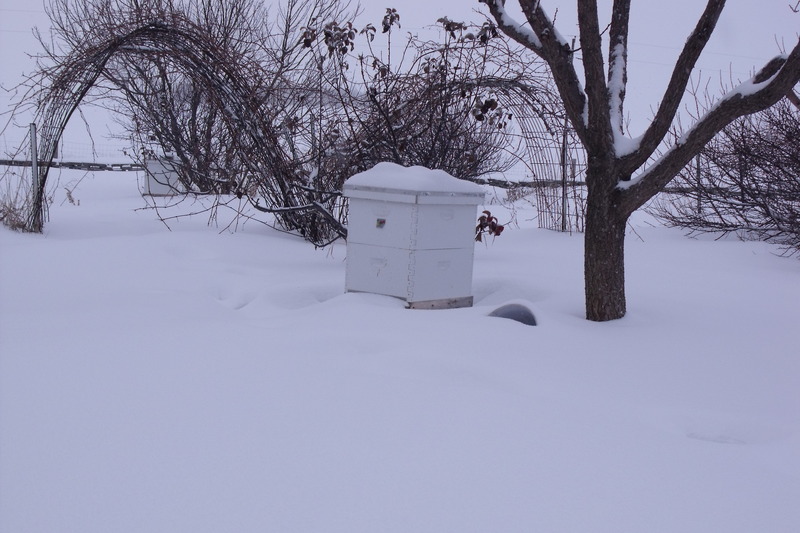 Living on the land in Minnesota during the winter months is a challenge. Especially when it comes to doing chores. Our family gets up at the crack of dawn or earlier to get the milking done, feed the sheep, calves, cattle, geese, ducks, rabbits, turkeys, hogs, and chickens. There is also a large sled load of dried wood to haul in to heat our farm home. The last chore before breakfast is checking the bees. Since you can’t open the hive, you have to place your ear against the hive and listen carefully. Hopefully a buzzing sound will be heard. The beautiful sound is that of the bees shaking their wings to keep warm. It’s hard to believe that even in this 6 degree weather anything so tiny and fragile could survive. Since today is Sunday, a day of rest, everyone looks forward to it all week long! It is a mad rush getting to church after chores. But, eventually having made it there and back again, even with snow drifts on the roads, the day of rest begins. A day of rest for our family today looks to be, as I glance behind me into our living room, a day of reading. Each has a favorite book in hand. Except for our youngest who is coloring. He is a bit put off that it is too cold today to sled off of the barn lean roof. Out on the prairie we have to make our own snow hills or sled off of the buildings. The smell of ciabatta baking in the oven is delicious and will have to do for our main meal today because, after all, it is a day of rest:) We are thankful for all of God’s blessings and especially for being able to live on the land together as a family. May you be blessed today. How can paradise exist on earth? The parents had the vision and drive to make it so.